Technology-based learning in the classroom introduces many tempting digital distractions. 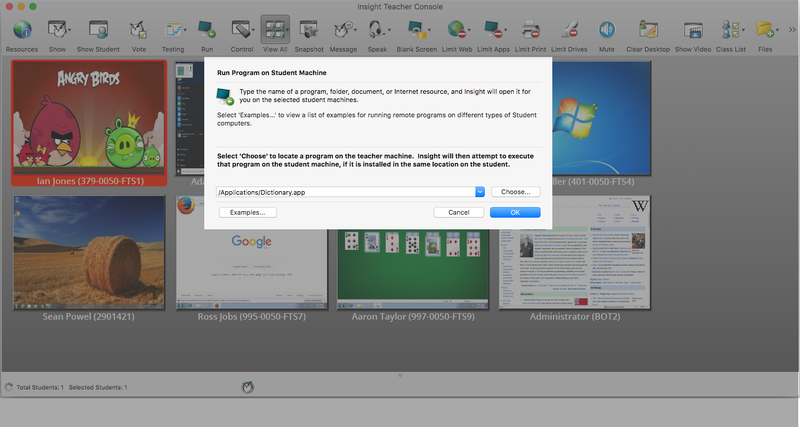 Thanks to Faronics Insight, teachers can keep students engaged. Instead of spending time monitoring student activities, teachers can maintain classroom focus and promote collaborative learning. Faronics makes classroom management software for educational institutions of all sizes. 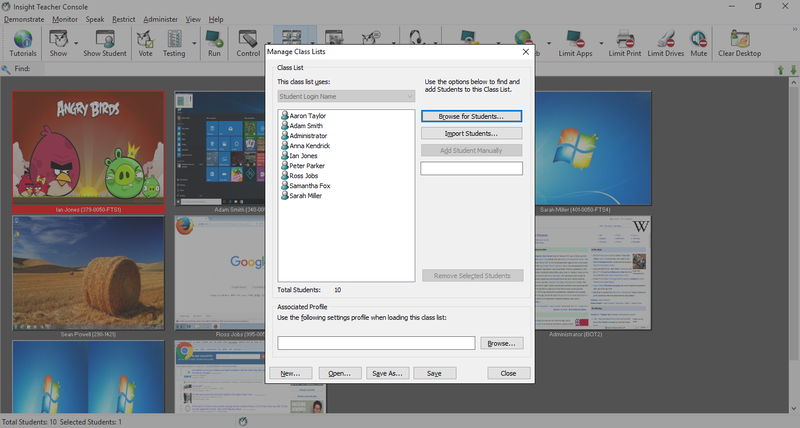 Use the classroom thumbnail monitoring feature to see what the students are doing with a single glance. Provide encouragement through collaboration and deliver an interactive lesson that keeps students engaged. 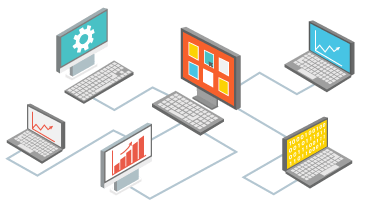 Central management helps to eliminate the headache of managing multiple labs, schools, and networks. By limiting internet access, teachers no longer have to deal with classroom distractions - such as games, instant messaging, and web surfing - when teaching a class. 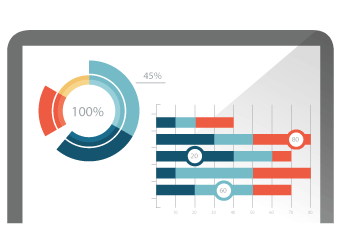 Real-time computer monitoring empowers teachers to easily check student progress, engage in face-to-face instruction, and communicate effectively without distracting the class with device disruptions. 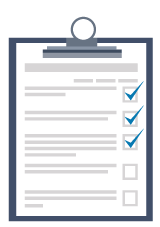 Allow students to request and receive assistance directly in their workstation session, allowing teachers to give guidance and advance through coursework quickly and effectively. 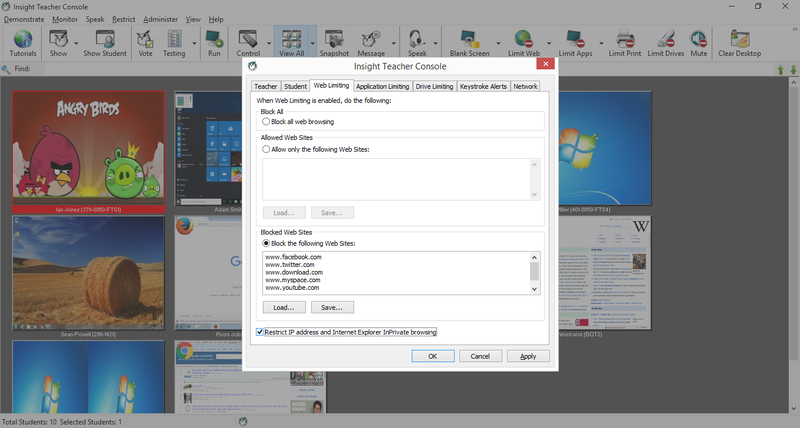 Insight Teachers on Windows have the ability to monitor classroom activities, promote collaboration with students, remove distractions and control their online environment. 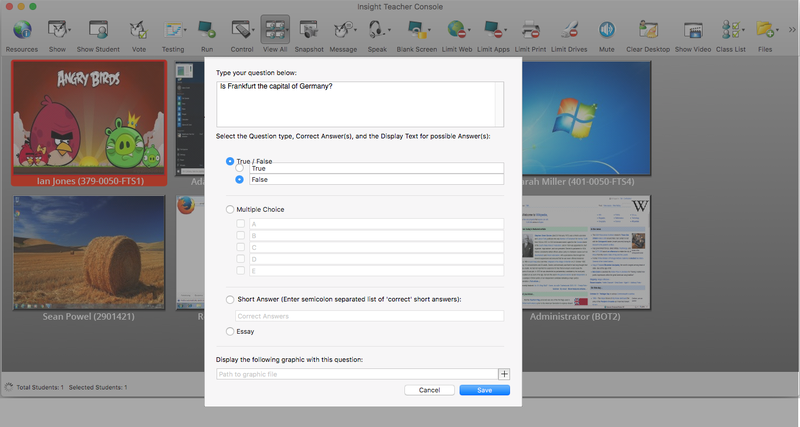 Insight Teachers and Students on macOS have the same collaborative and productivity enhancing benefits from the Windows version. 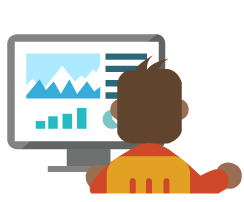 Insight on ChromeOS allows Teachers to monitor and manage Student activities, help individual Students, administer tests, disable web browsing, and broadcast the teacher’s screen to accelerate student learning. 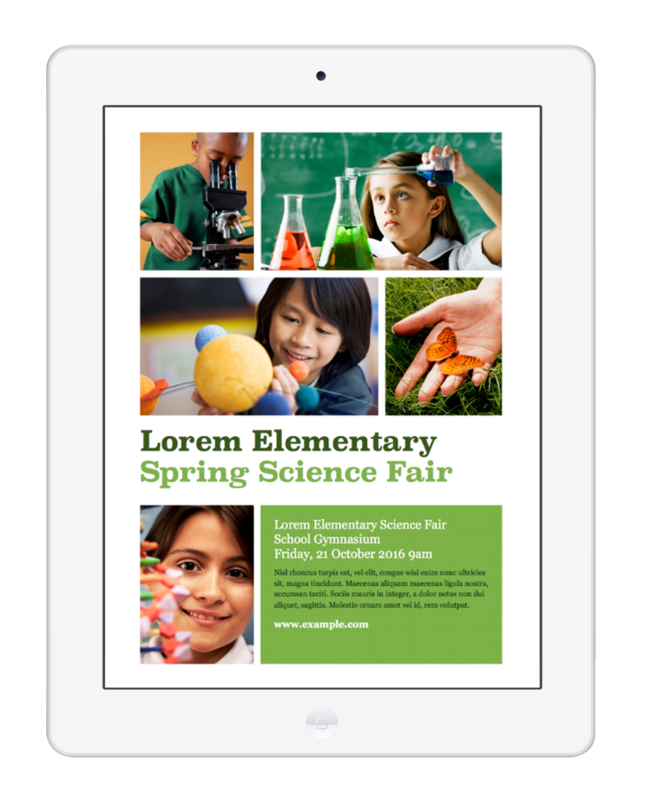 Insight on iOS or Android tablets can allow Teachers to broadcast their screens, send messages, administer tests, set voting polls, gather inventory information and provide a safe digital environment. 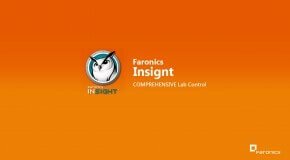 Faronics Insight is an effective classroom management tool that helps teachers create a better learning experience, while helping IT professionals manage and support multiple labs with ease. SkyWest needed a solution that could help them manage 700 computers remotely and perform maintenance easily. 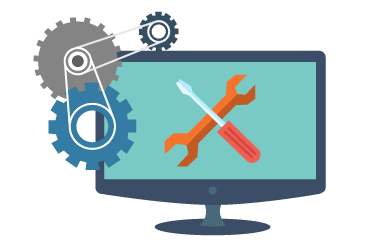 With Deep Freeze, their aircraft maintenance personnel could themselves fix malware or accidental misconfigurations with a quick reboot. In addition, their IT staff could remotely carry out configuration changes when required from the Deep Freeze Enterprise Console. Philadelphia FIGHT (FIGHT) is a non-profit organization designed to improve the lives of people living with HIV/AIDS. Its Critical Path Project to provide digital literacy in the most vulnerable neighborhoods has a very small Information Technology staff to manage all the machines across all their centers. 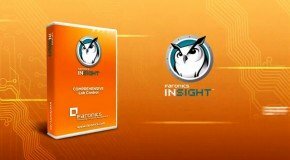 Faronics Insight empowers teachers with the ability to monitor, communicate and effectively educate students from one central computer. Use the classroom monitoring feature to see what the students are doing with a single glance. 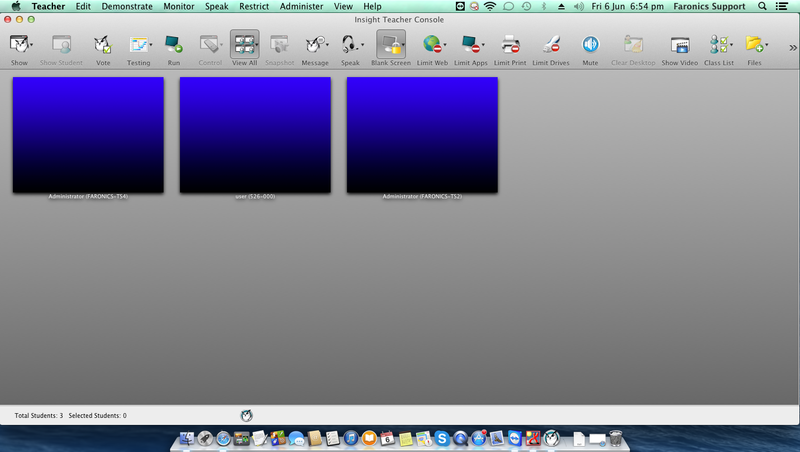 Show the Teacher's screen and audio to all students in a classroom. Show a particular Students screen to the entire class to showcase creative solution to a problem or just a pretty picture in a real-time basis. Get a real-time view of each student's screen at a single glance from the Teachers console to see what the students are doing. Remote Control to help a student with a question, or to take control of the student's computer with keyboard and mouse. 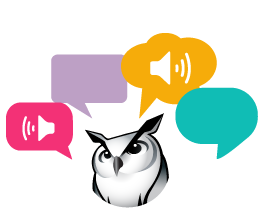 Communicate with a student using audio chat, listen to students and broadcast audio to all or selected students. Blank-out all student screens and disable student keyboards and mice to get the student's attention and conduct lectures without the distraction of students playing with their computers. 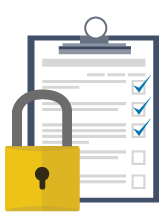 Allow Teachers to put Students into a secure, locked mode in order to take an assessment exam using the new Assessment Mode feature. 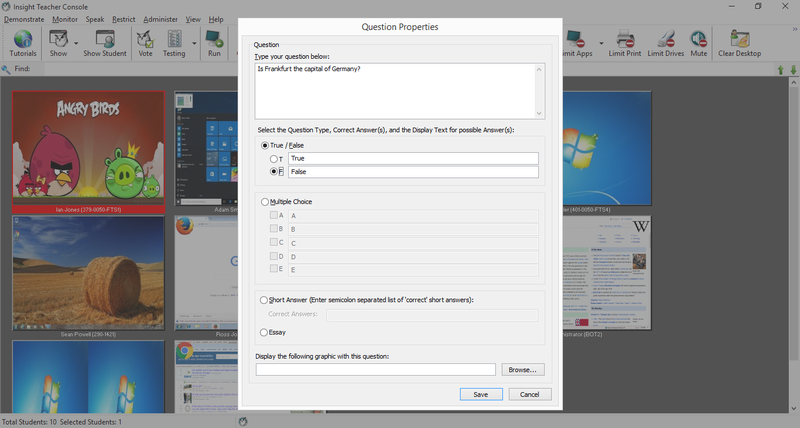 Easily create true or false, multiple choice, short answer and essay questions that can include graphics for electronically testing and grading. 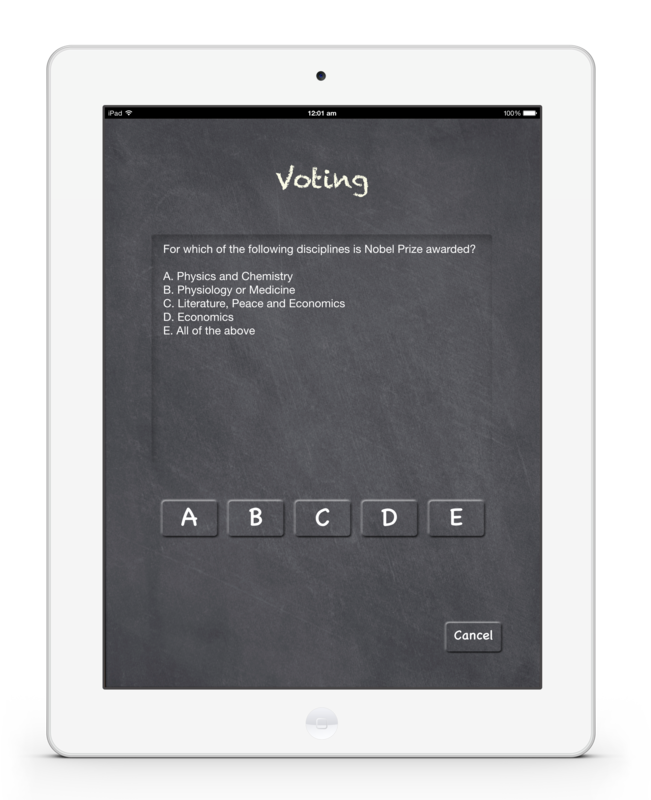 Ask yes/no or multiple choice voting questions to get a quick pulse on whether or not students understand a concept. 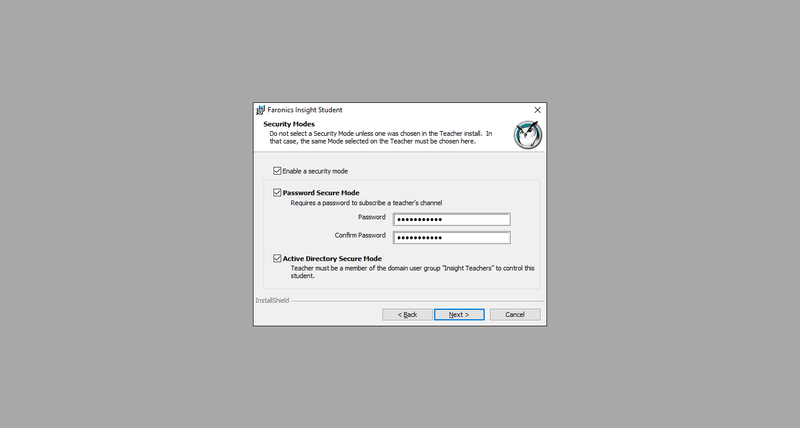 Prevent wireless tampering via SSID limitation in conjunction with the Network Tampering feature to ensure that the students connect only to the required school's wireless network when available. Block students from browsing to websites using IP addresses and optionally displays the list of approved websites to students. Easily specify what applications students can run on their computers. 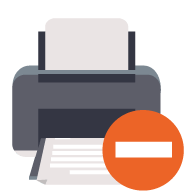 Temporarily disable all or selected student printers whether the printer is local, shared or a network printer. Easy to use power management tools to ensure machines are not left on at the end of the day. 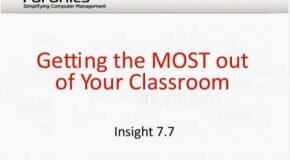 Create a class list and automatically bring those students into an Insight classroom. 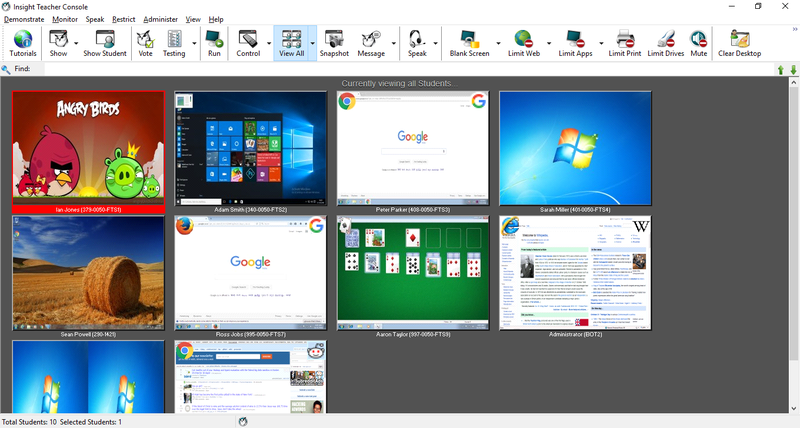 Start lessons faster by instantly launching applications and websites on all student workstations at the same time. 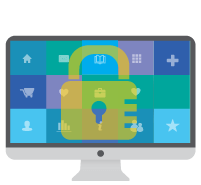 Integrate double layers of security with Active Directory and Password Protected Secure Mode to limit unauthorized access to the Teachers console. Take a snapshot of the students screen if you happen to catch them using their computer inappropriately. 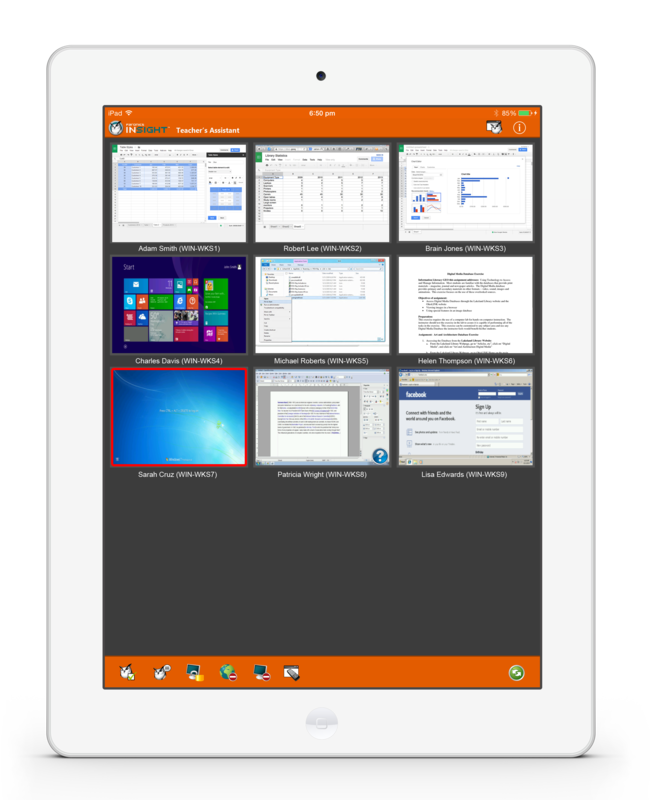 Get more control with the new free Tech Console which includes many basic desktop management tools that help you stay on top of inventory, assets, software updates, security, and even control Faronics Deep Freeze. View up to 3000 crisp high color student thumbnails at the same time and in 4 different sizes of thumbnails that can be sized automatically to the best fit and according to the classroom layout. Remote Control to help a student with a question, or to take control of the student’s computer with keyboard and mouse. 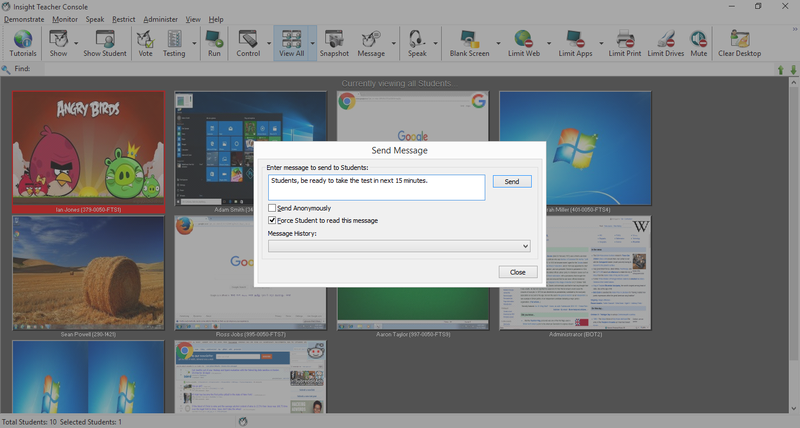 Show the Teachers screen and audio to all students in a classroom. Receive e-Safety Banned Words Keystroke alerts. Use the share student screen option to demonstrate to the class what specific students are doing on a class project. Show the Teacher’s screen and audio to all students in a classroom. 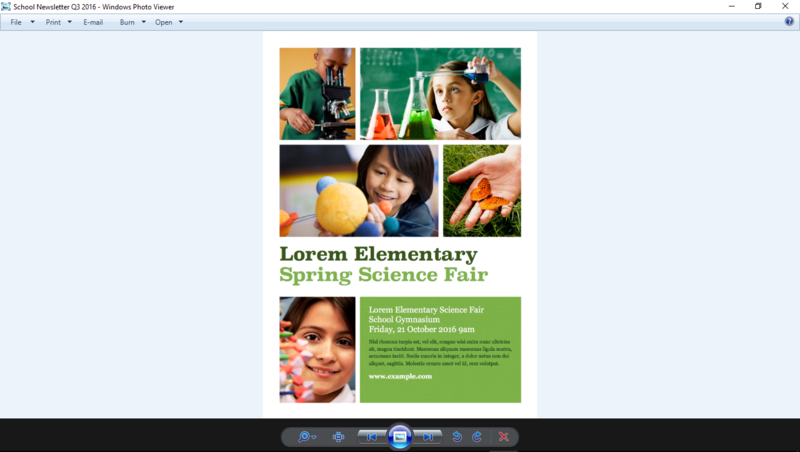 Select between a full screen or a windowed show mode – to take over the entire student’s screen and disable keyboard and or show the teacher’s screen in a window. 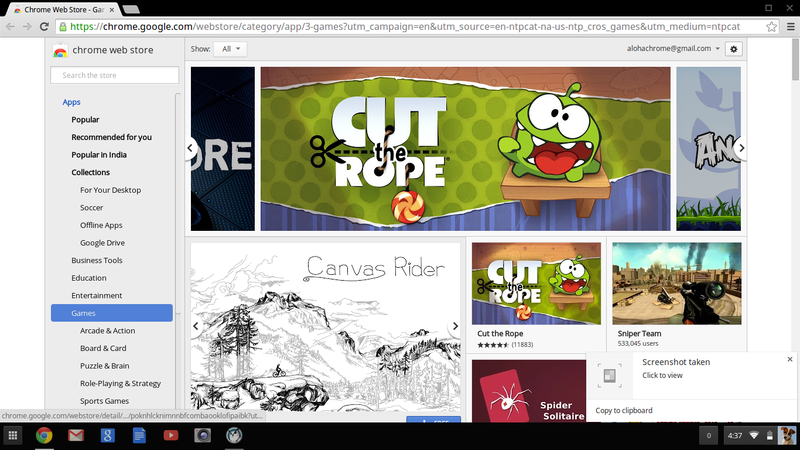 Sharing your screen or a student’s screen with the rest of the class to give students a hands-on learning experience. Teachers can notify students to accept full screen request. Show a particular student’s screen to the entire class to showcase creative solutions to a problem or highlight a student’s achievements and results in real-time. Get a real-time view of each student’s screen at a single glance from the Teachers console to see what the students are doing. 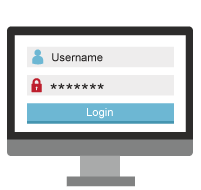 Quickly see the computer details – who’s logged in, current application, last visited website, last question, channel number and version of the software. 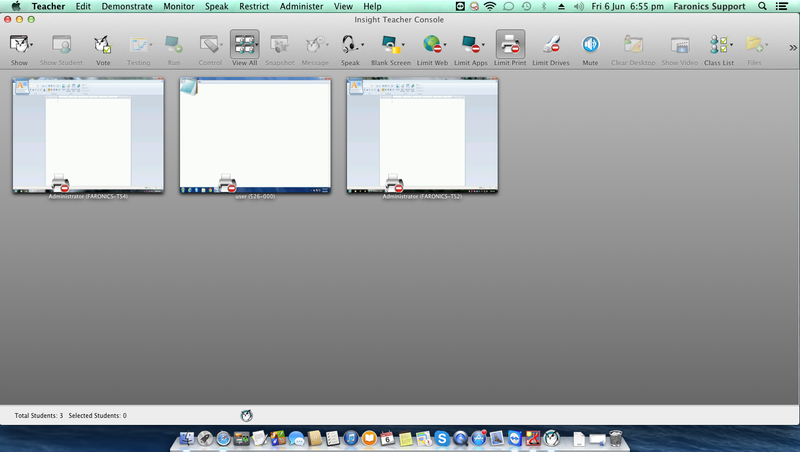 Rotate through different student screens allowing teachers to monitor student screens in a larger view. 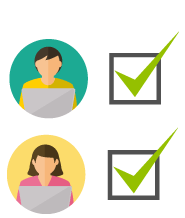 Allow students to request and receive help directly in their workstation session, allowing teachers to advance through coursework quickly and effectively. Provide one-to-one assistance to students without pausing the lesson or disrupting the rest of the class. 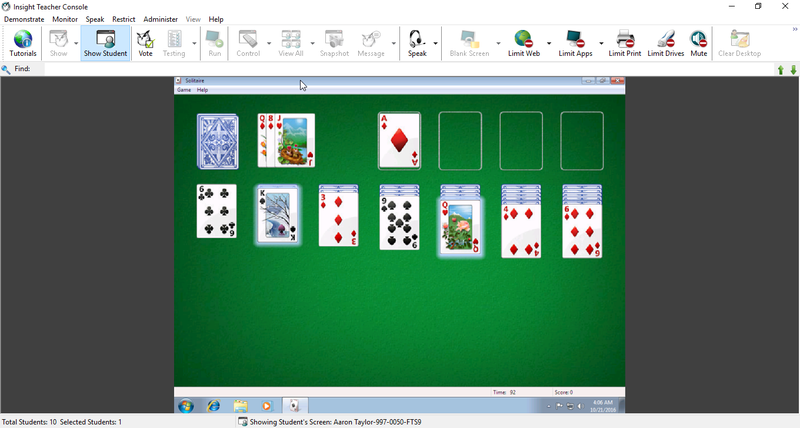 Efficiently and effectively interact with students directly through their computers. Send a message to any or all students and use as an effective way to get a distracted student back on task. Chat with a particular students without disrupting the rest of the class in a simple, trusted way of communication. Start and maintain a group chat to better collaborate with students. Make your exams regulatory compliant including those administered in support of CCSSI and PARCC testing requirements. Blank-out all student screens and disable student keyboards and mice to get the student’s attention and conduct lectures without the distraction of students playing with their computers. 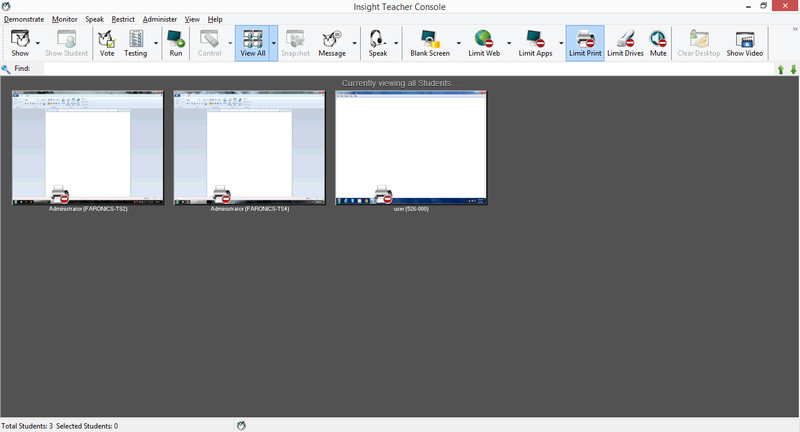 Insight makes it easy to monitor student computers; blank student screens; mute audio; remote into their computers; open, close, block applications and web activity on student workstations. 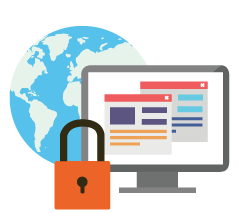 Restrict students from leaving the test as well as block incoming messages, and prevent going to unauthorized websites or applications. 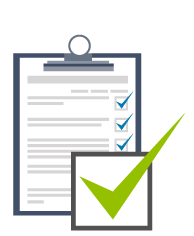 Get in compliance with assessment exams including those administered in support of CCSSI and PARCC testing requirements. 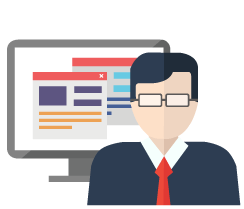 Enhance the overall digital learning with complete administration of online assessments. Use the Test Builder application to build tests offline. 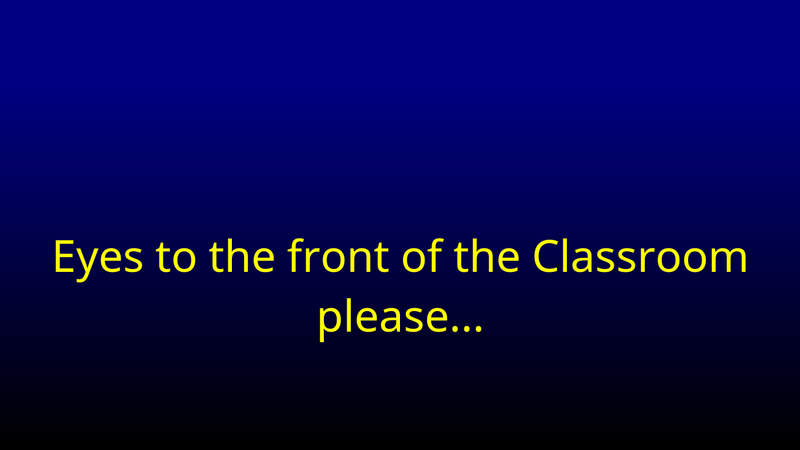 Make asking questions fun by having the system randomly select a student to respond, watch as the students enjoy the sound and suspense to see if they get chosen. Export results to an electronic gradebook and significantly reduce the time to administer and grade tests. 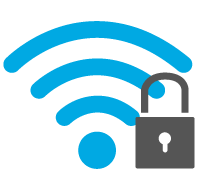 Prevent wireless tampering via SSID limitation in conjunction with the Network Tampering feature to ensure that the students connect only to the required school’s wireless network when available. 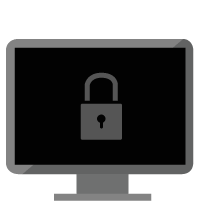 Monitor all user activity to prevent distracted students by simply removing or limiting access to websites, applications, printing, and network drives. Keep students’ energy channeled in the right direction with application limiting combined with web limiting for a better learning experience. No longer need to deal with classroom distractions — such as games, instant messaging, and web surfing — when teaching a class. 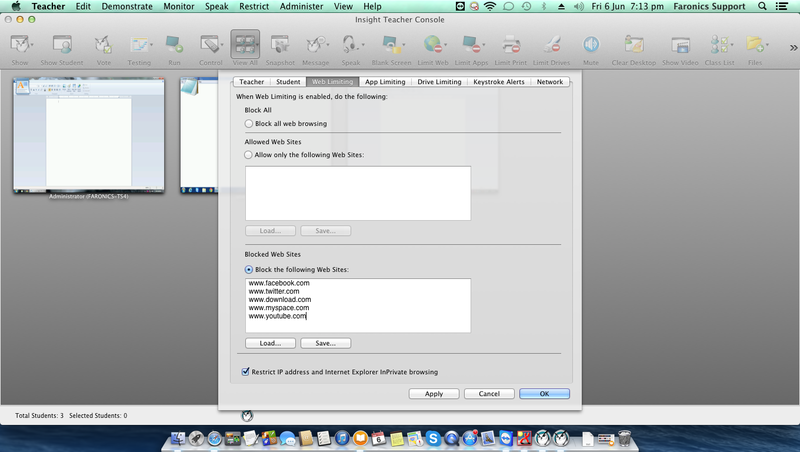 Disable video streaming to the teacher and student computers. View Running Applications to see a list of all of the applications that are active on the student machine. Optionally add it to the allowed or blocked applications list. 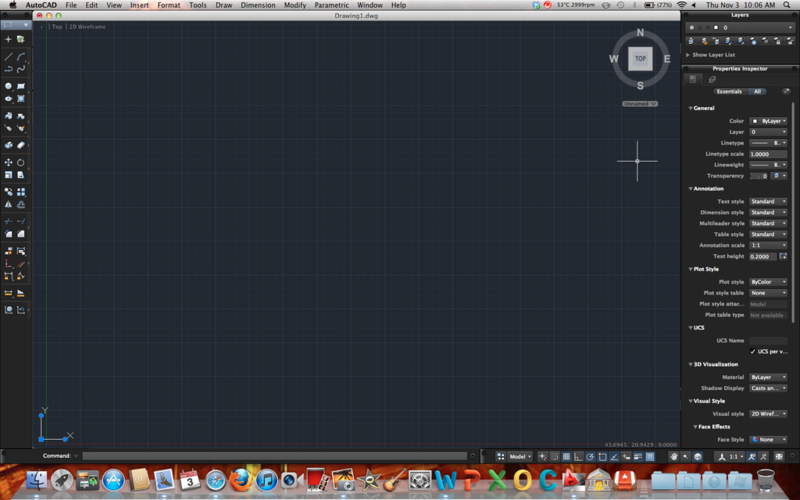 Stop all running applications immediately with the Clear Desktop button. 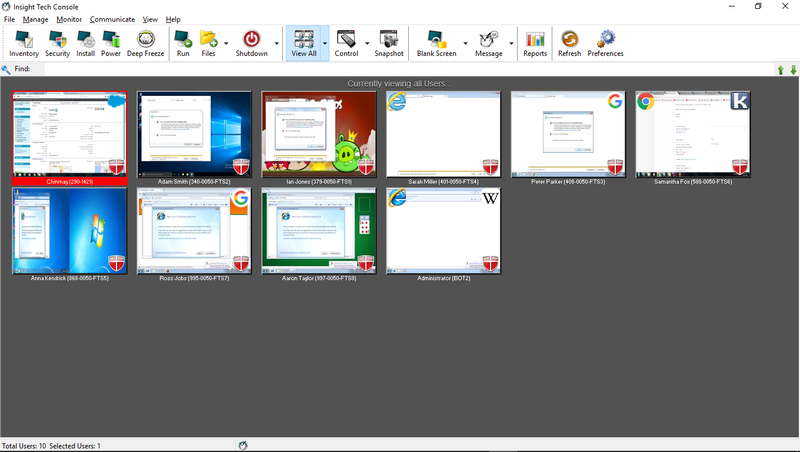 Remotely Shutdown, Restart or Logoff student computers right from the Teachers console. Power-on student computers using the in-built Wake-On-LAN (WOL) technology. Say hello to BYOD (Bring Your Own Device) and get a quicker way to start class when using the 1:1 version. 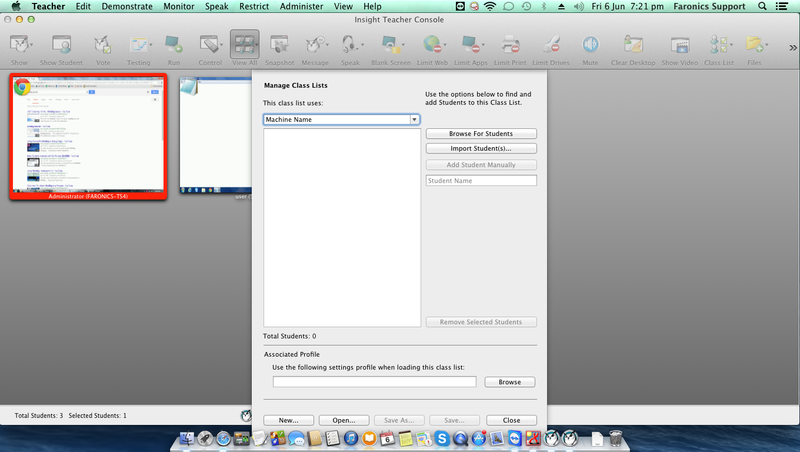 Automatically generate class list by exporting .csv files from your Student Information System to a shared location. 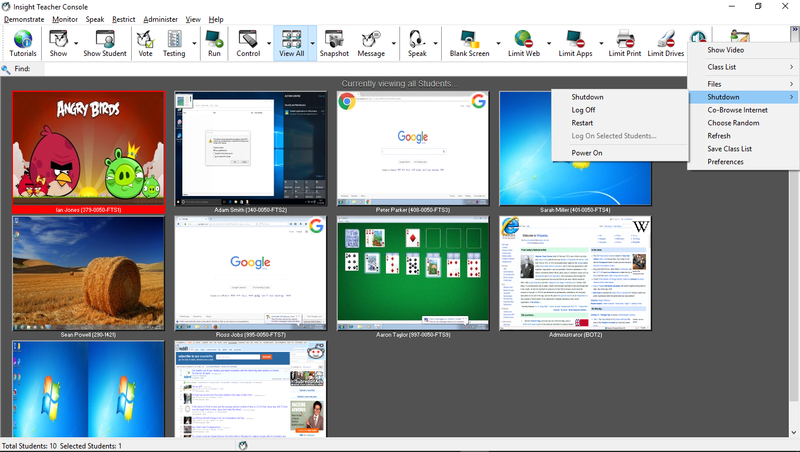 Co-browse to launch the same website on all student computers at the same time. Keystroke Alerts recorded in Insight Report Server. 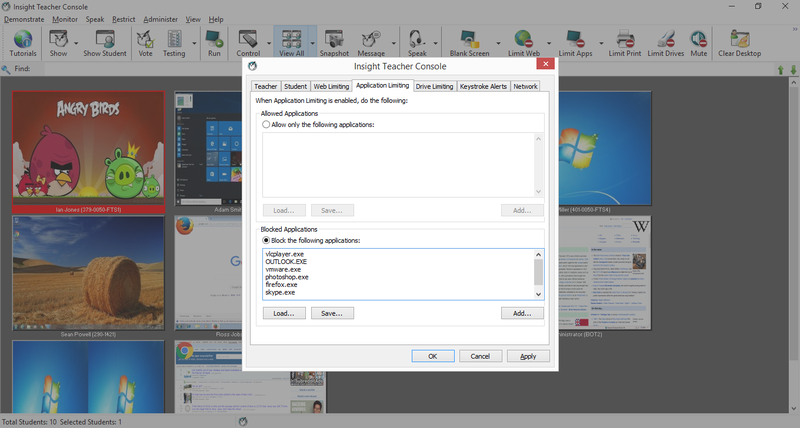 Receive a screenshot on the Teacher Console when a banned word event is triggered by an Insight student. 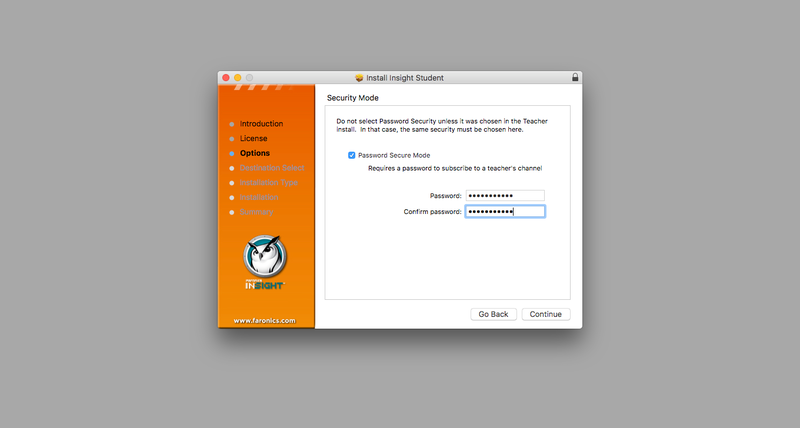 Quickly pinpoint students who are abusing the “appropriate use policy” of the classroom using the Security Monitor utility. Command attention the second the bell rings and get class started sooner, with the ability to blank student screens and lock keyboards/mice. 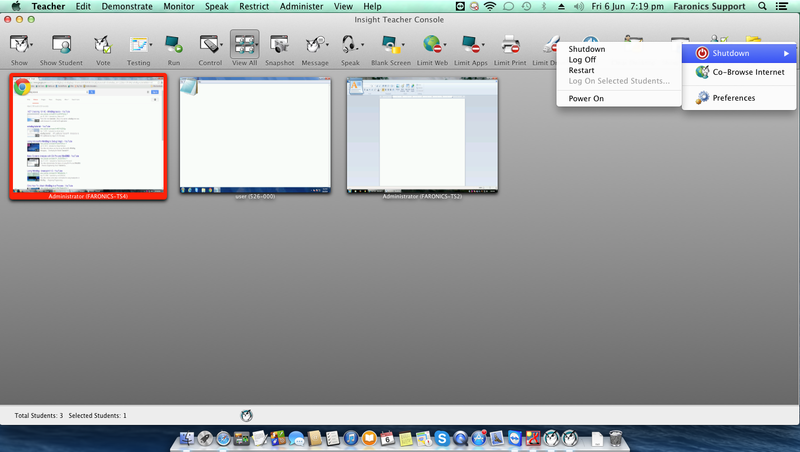 Enforce Teacher Kiosk Mode so the Teacher console can be run in a way that it cannot be minimized or closed. 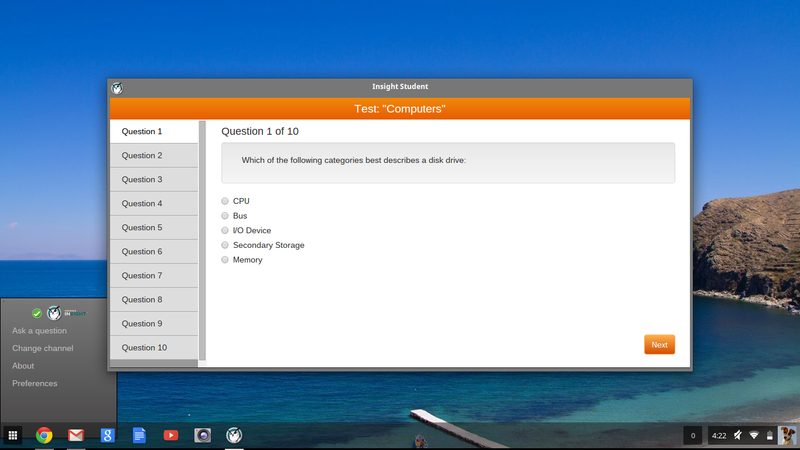 Display the Windows or Novell login name of a student – configure Insight to use the NetWare login name instead of the Microsoft login name if the student computer is using the NetWare client software. Allow Teachers to communicate directly with IT staff of the campus to eliminate the need for creating IT tickets for simple questions. Managing a computer-based learning environment for students and faculty can have many management and security challenges. But not anymore! With the addition of the new intuitive Tech Console, IT professionals can manage, monitor, and maintain computer labs and workstations with ease. Easily manage a computer-based learning environments as an IT Administrator. Use the Tech Console to centrally manage Deep Freeze settings on supported computers. View the hardware components and installed software of all the Student machines. Get reports on Website Visits and application usage by Student or Computer. 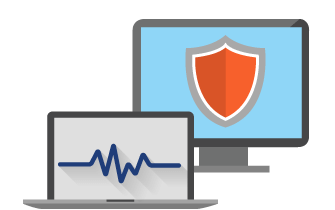 Get computer health status based on recommendations by Microsoft and Apple for their respective operating systems. Efficiently and effectively interact with Student as well as Teacher computers to assist with IT related issues. 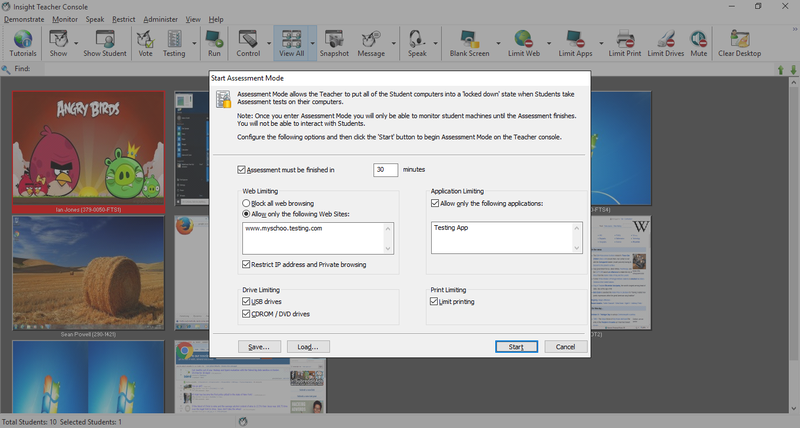 View and modify the power settings on Student and Teacher computers. Remotely distribute and install software packages to Student machines. Gather hardware and software inventory, keep everything up-to-date, monitor security risks, provide efficient support to your teaching staff, save power and report on technology utilization. 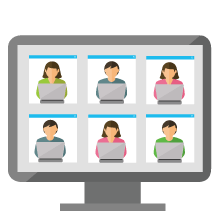 Save time by providing remote support to teachers and students by performing common desktop management tasks without leaving your desk. 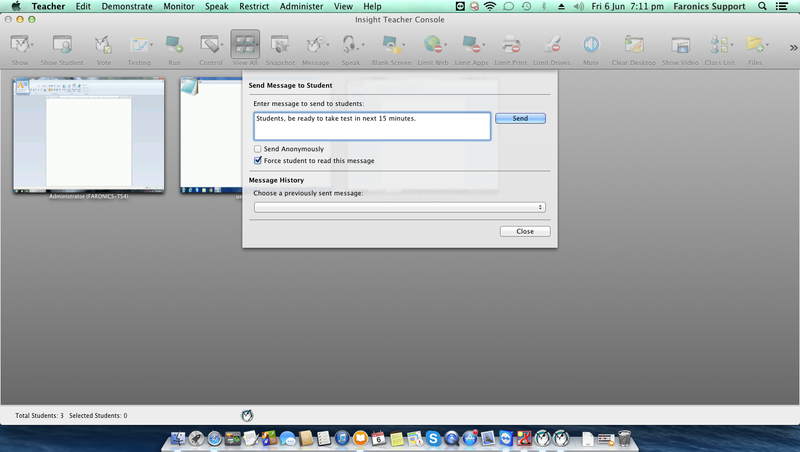 Allow teachers to communicate directly with campus IT staff to eliminate the need for basic tech support tickets. Determine Deep Freeze status such as Frozen or Thawed and modify the Deep Freeze state as required. 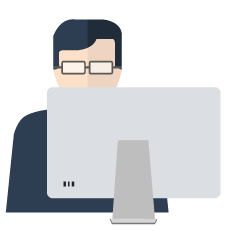 Leverage the Deep Freeze command line control interface to perform on demand actions or change settings remotely. 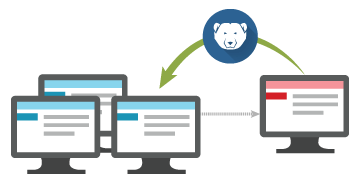 Get enhanced options for configuring shared computers, such as desired state protection with Faronics Deep Freeze. View summary information such as how many devices have a certain application installed or what number of machines are running a particular operating system. Eliminate student access to USB and CD/DVD drives with the click of a button. 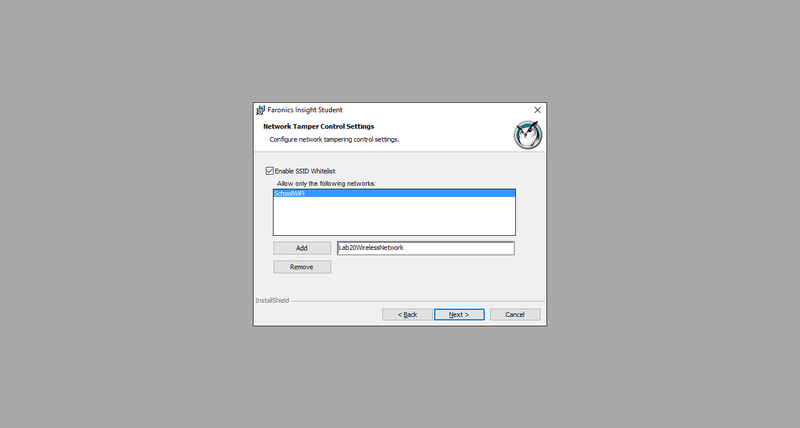 Ability to select a Network Card/IP address for the Insight Report Server. Get reports on Web Site Visits and application usage by Student or Computer. 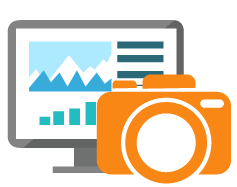 Use the captured information to record and analyze the technology utilization on a per classroom basis. Get the list of all the websites visited by a particular student using the Show Internet History feature. Automatic statistics exporting via CSV to Insight Report Server. Configure the settings that define a “Healthy computer” in your environment. Receive alert level notifications if one category does not match preset health definition. 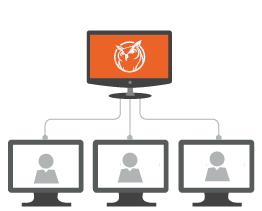 Get status on Firewall, Anti-Virus and UAC states of Student and Teacher computers. Help a Teacher or Student with a question, or to take control of the computer with keyboard and mouse. 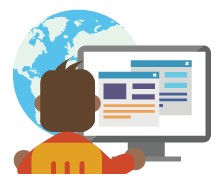 Allow students to request and receive help directly in their computer session, allowing teachers to advance through coursework quickly and effectively. Ability to disable Remote Control feature for Windows and Mac. View the current battery status and control the power scheme in use. 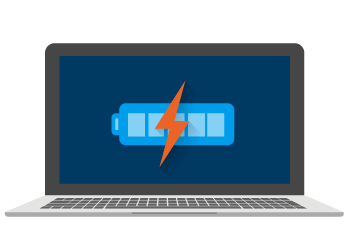 Monitors the battery state on a notebook and get notified if the charge drops below a certain number. 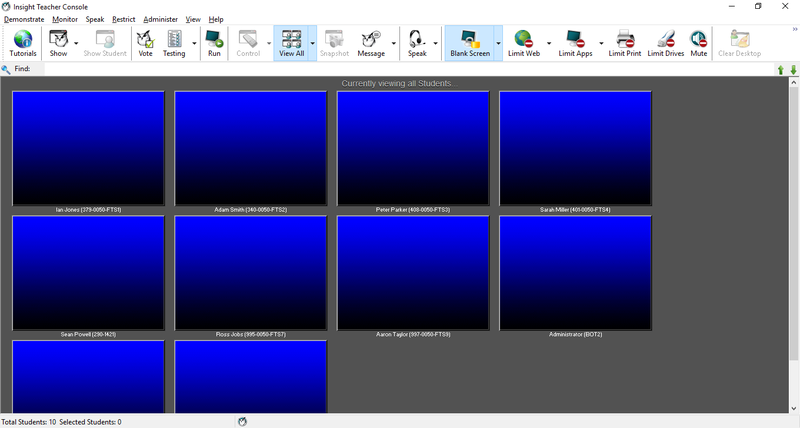 Modify power schemes right from the console by selecting an alternate choice or adjusting an existing one. Take advantage of the Wake-On-LAN technology to “power-on” all PC’s. Use a single console to deploy on Windows or Mac computers. Simply browse to the package to deploy, and add any pertinent command line options that the package understands. Get real-time status of the installation from downloading the file, from start to finish. 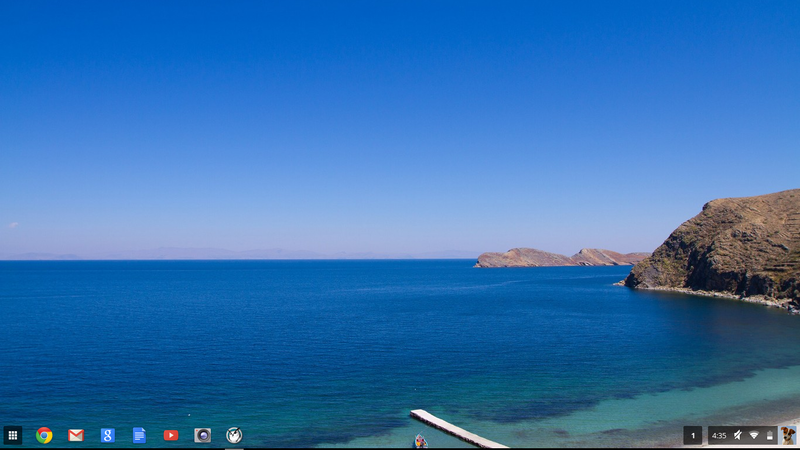 Updated Install Guide with better default Chromebook configuration options. Windows Tech Console can be installed in silent mode. 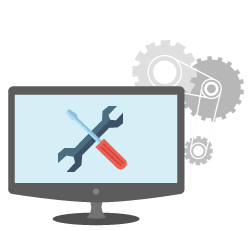 Installation parameter for the Insight Report Server to bypass scheduled restart task creation. 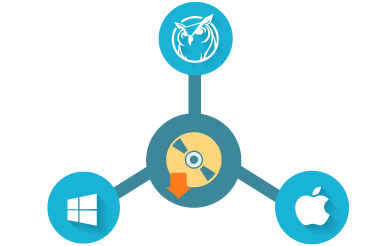 Faronics Insight is compatible with Windows, Mac, Chromebook, iOS and Android operating systems and devices. 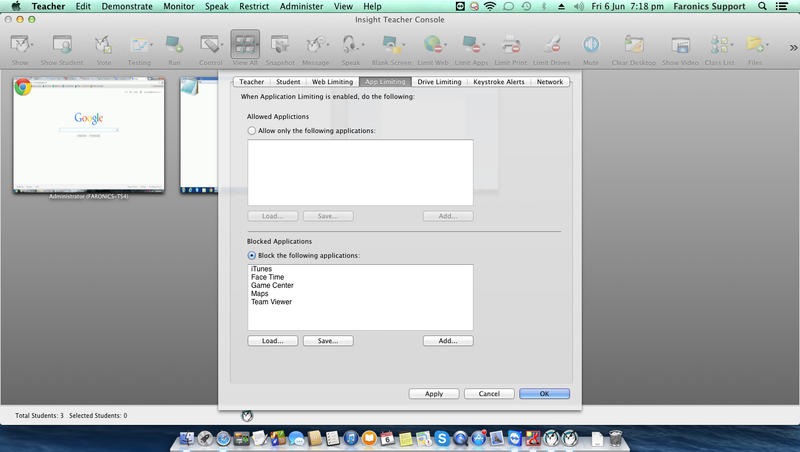 The Teacher can be on Windows or Mac and can manage Students across all the supported operating systems. 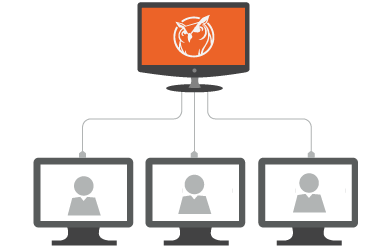 Insight empowers instructors with the ability to educate, assist, monitor, and communicate with an entire computer lab from one central computer. Want to be a teaching rockstar? Check out this video! 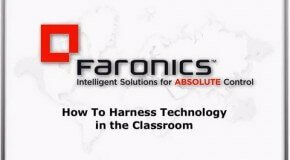 In this webinar we'll discuss how classroom management solutions like Faronics Insight put teachers back in control of the classroom and boost student engagement. Computer-aided learning is an integral part of today's schools, yet it introduces a variety of challenges. 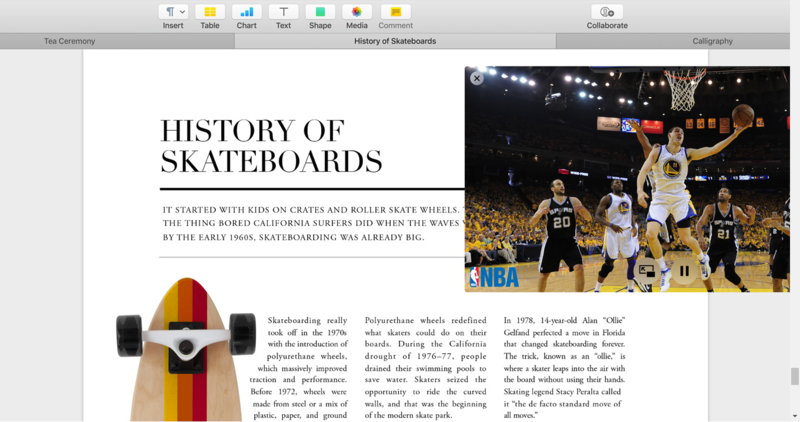 From surfing the web to online gaming, student distractions are endless. 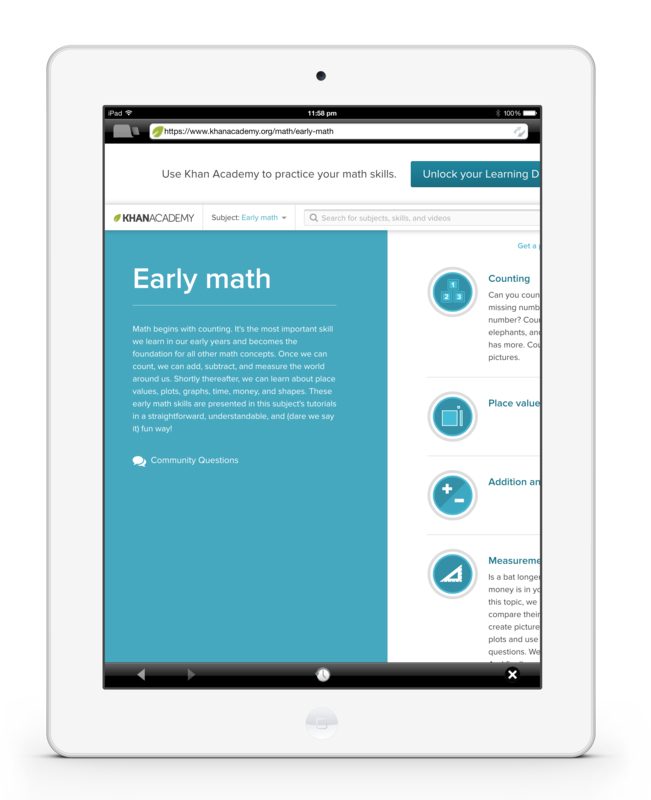 As a leading classroom management tool, Faronics Insight is the first choice for school instructors. It's easy-to-use and teachers love it. With the addition of the new FREE Tech Console, managing a network of labs becomes just as easy. 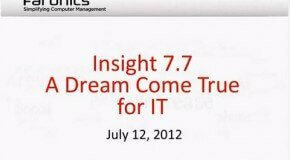 In this webinar we will demonstrate capabilities of new Insight 7.7: remote support to teachers and students, network management, reporting and even control of Faronics Deep Freeze. 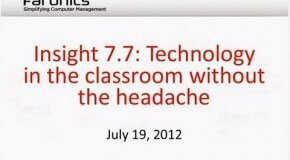 Learn how Insight takes the headache out of managing computer learning. 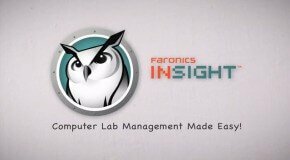 Faronics unveils a new version of Insight -- Instructional technology solution and classroom management (works on all flavors of PC, Apple, iPods and Android). The concept is simple -- it helps teachers instruct through technology and keeps students on task. How can you make sure that it's positively impacting student achievement? In the face of serious budget constraints, schools are trying to do more with less. And that means searching for effective solutions that produce results. What if there was a way to give teachers more control over the classroom and eliminate distractions with just one click? What if there was a way to give teachers a tool that encourages one-to-one communication? 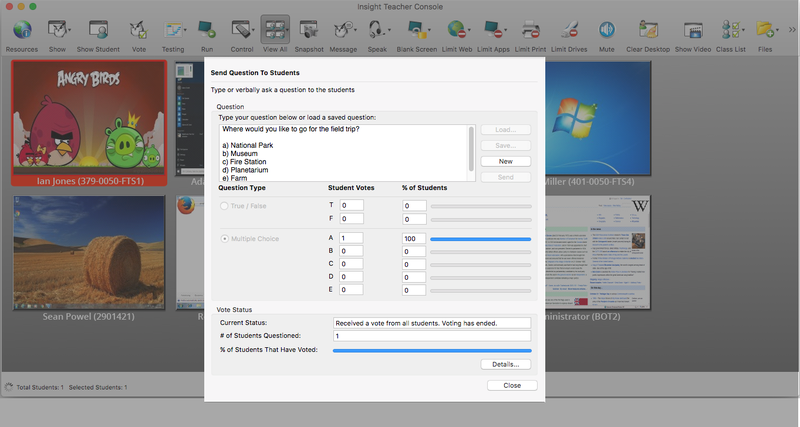 Faronics Insight is an effective classroom management software that helps teachers create a better learning experience, while streamlining IT administration and supporting multiple labs with ease.